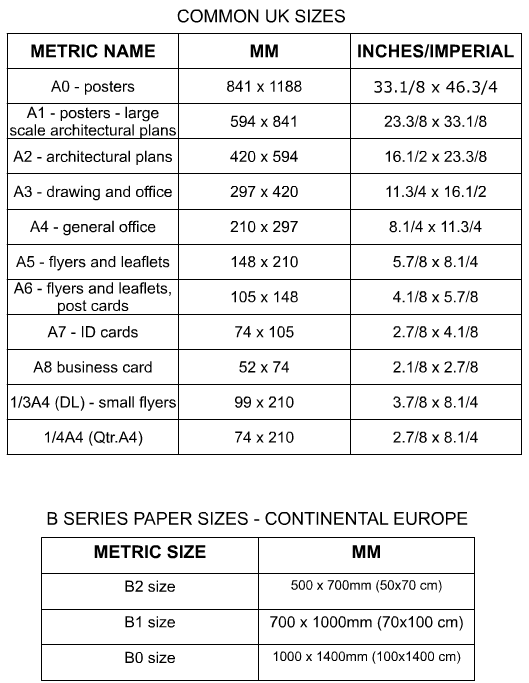 The International Standard ISO 216 (International Organization for Standardization), sets out the common paper sizes used around the world. 161 countries from around the world are members of the organisation. The metric system of paper and card sizes are shown below. 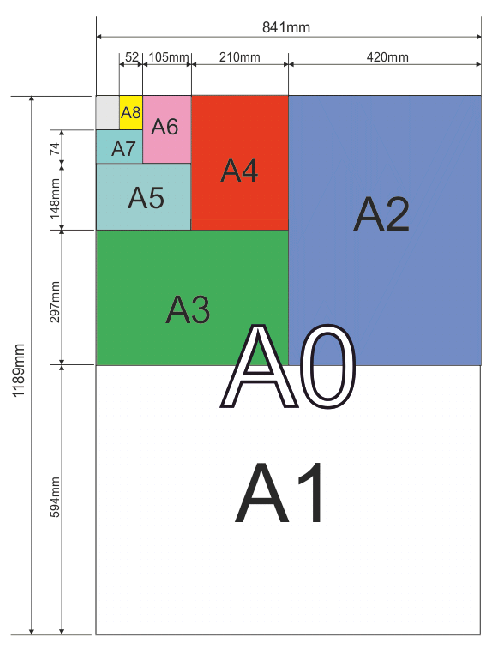 All ‘A’ sizes are double the previous size, with A0 being the largest. Common paper / card sizes are seen graphically below. These are standard sizes used in architecture, graphic design, engineering drawing, art and the packaging and printing industries.